The simple remedies are usually the best and this one has stood the test of time. Using just these three seeds can provide relief from gas and bloating while improving digestion for most if not all people. Recipe Instructions: Herbal Tea :Mix the seeds in equal parts. Crushing the seeds makes it easier to extract the active principles. You can do this ahead of time and store a few weeks worth of the crushed seed mixture in a tightly sealed glass jar without losing much in the way of efficacy. 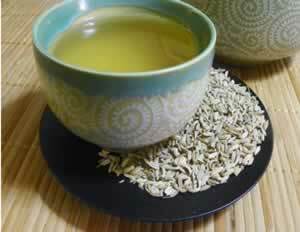 1 teaspoon crushed seeds to a cup of water, leave to infuse for 20 minutes and drink 1 cup after the evening meal.